The GSS students celebrated the Month of the Rosary throughout October. 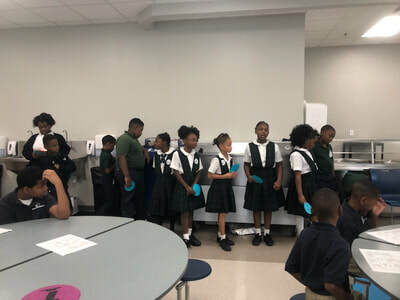 The 2nd - 7th graders prayed to Mary by the 3rd and 5th graders forming a living rosary and praying with the rest of the student body and faculty. 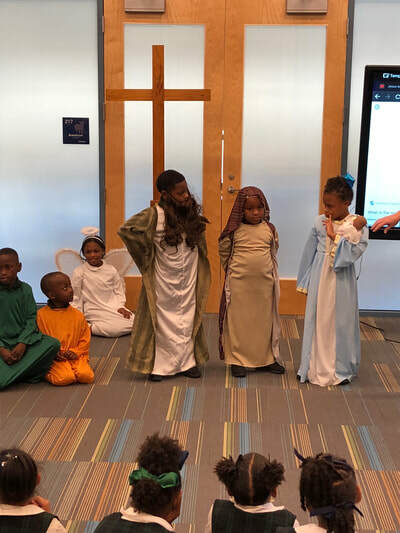 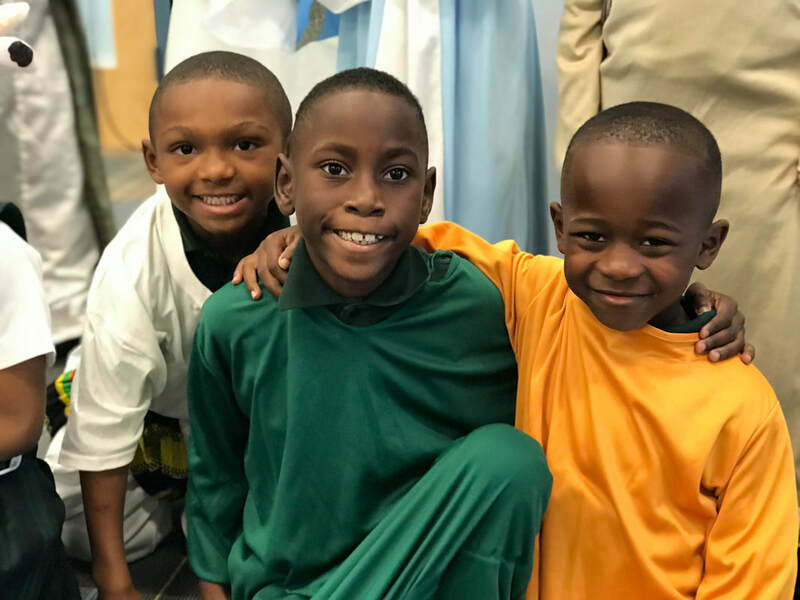 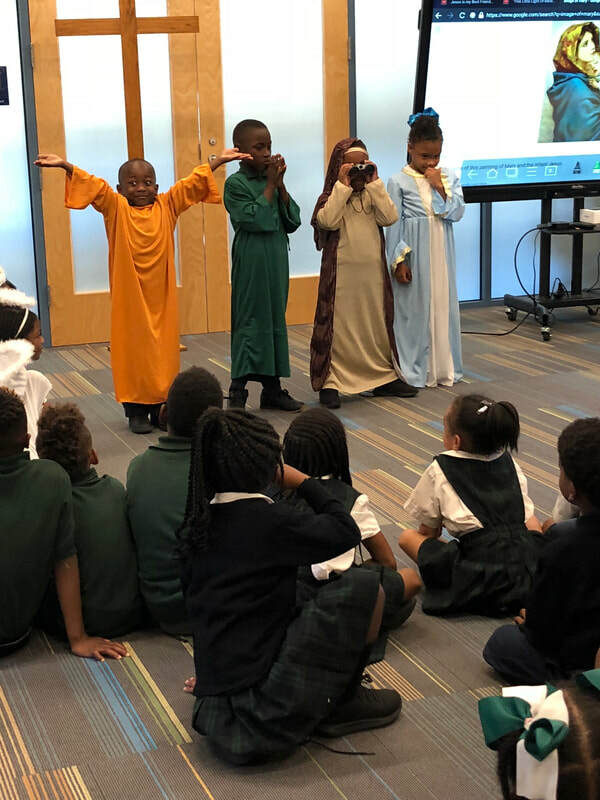 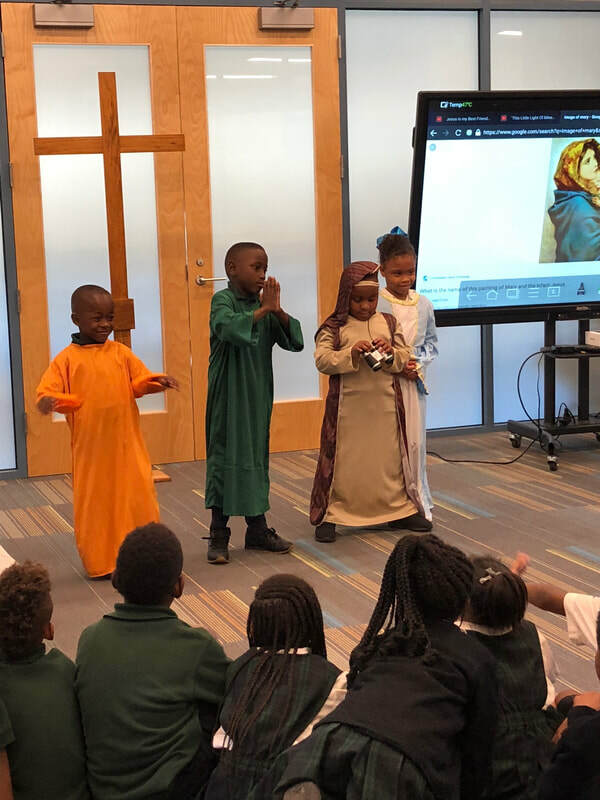 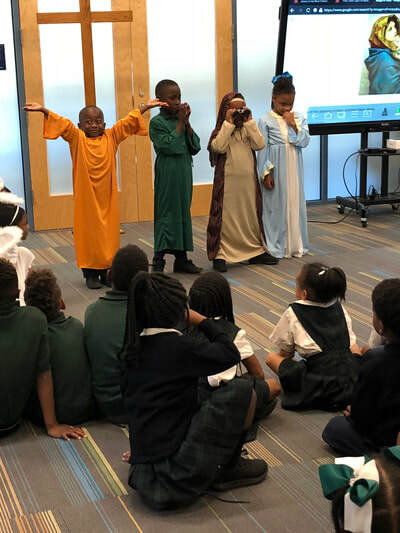 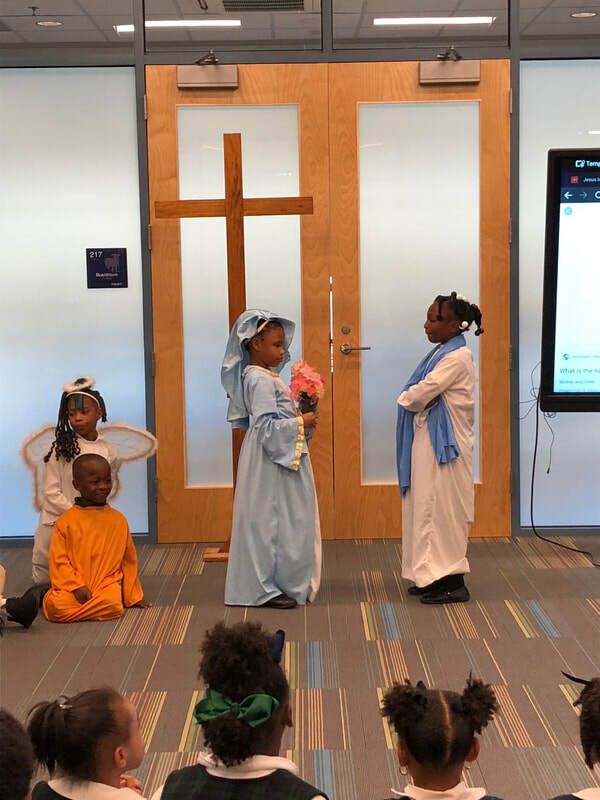 The PK4 - 1st graders attended a prayer service where Ms. Kuhn's 1st graders acted out the Joyful Mysteries. 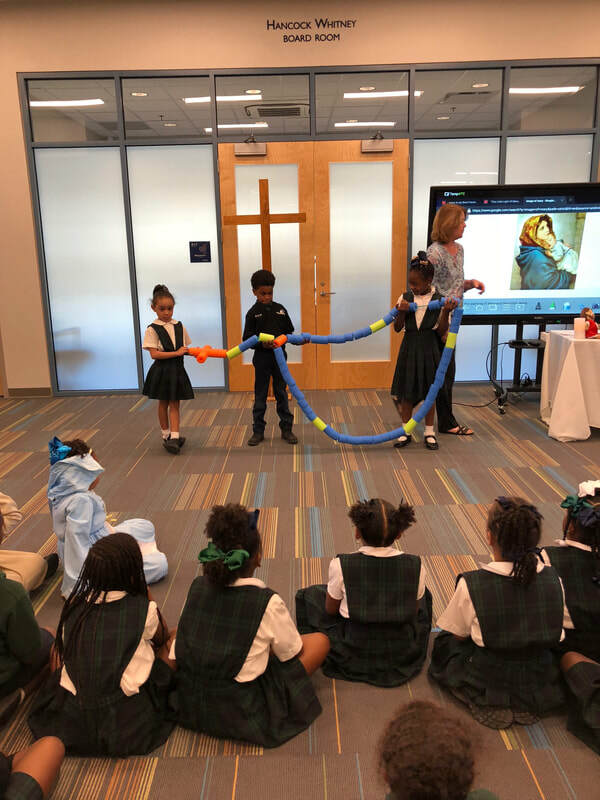 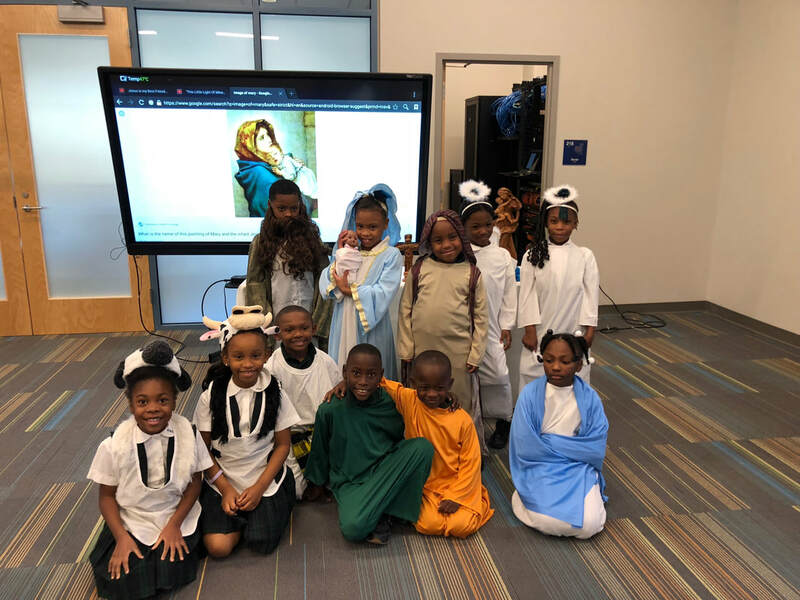 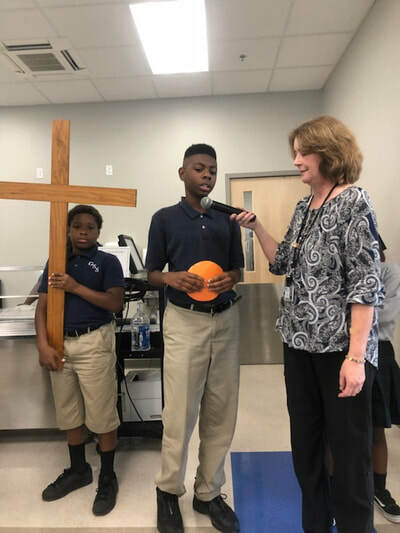 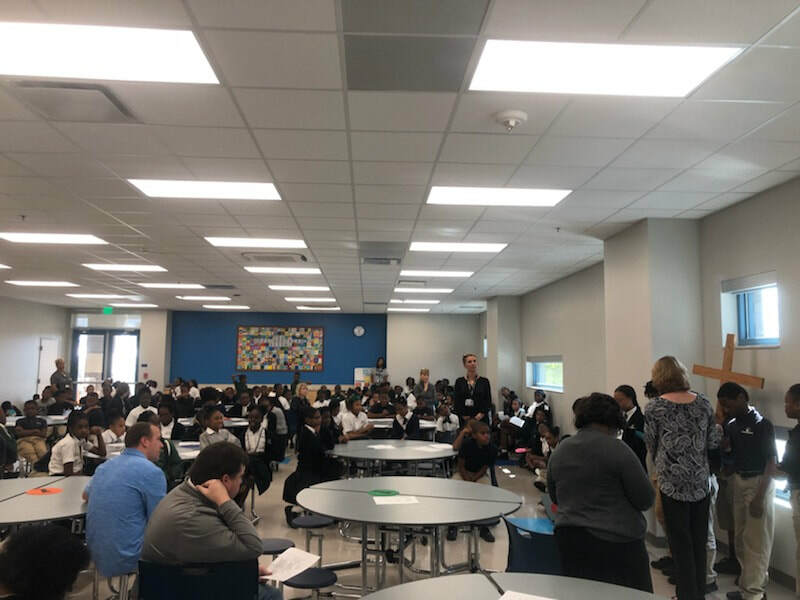 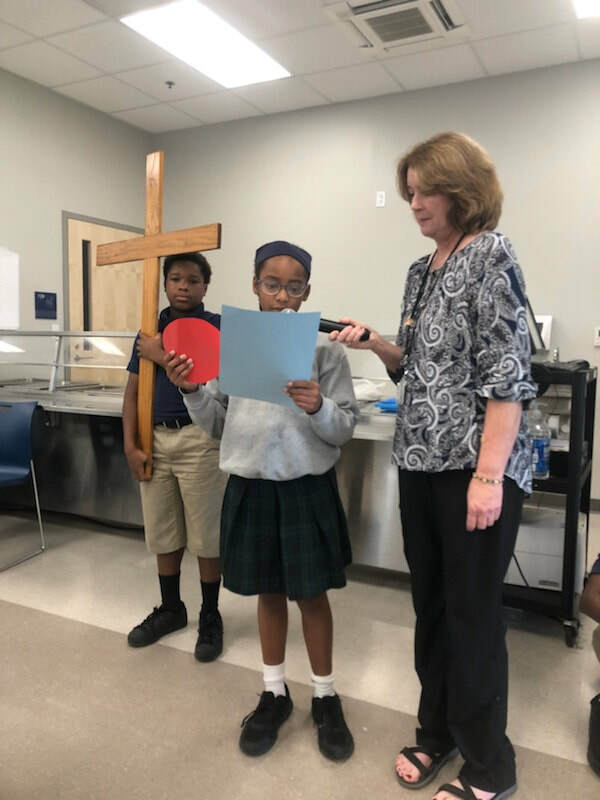 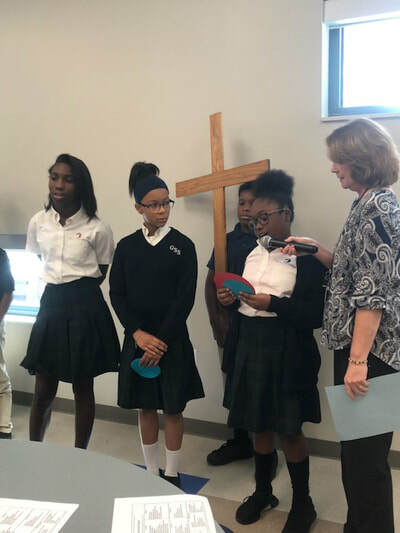 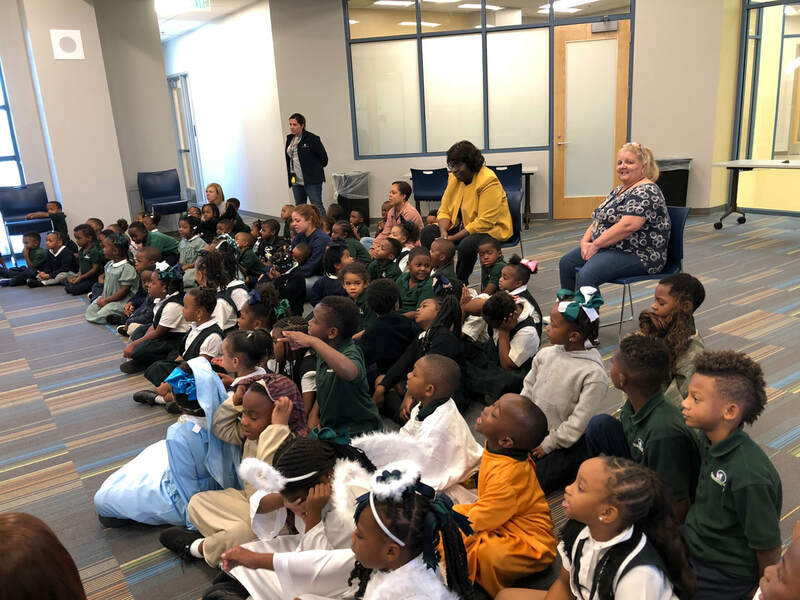 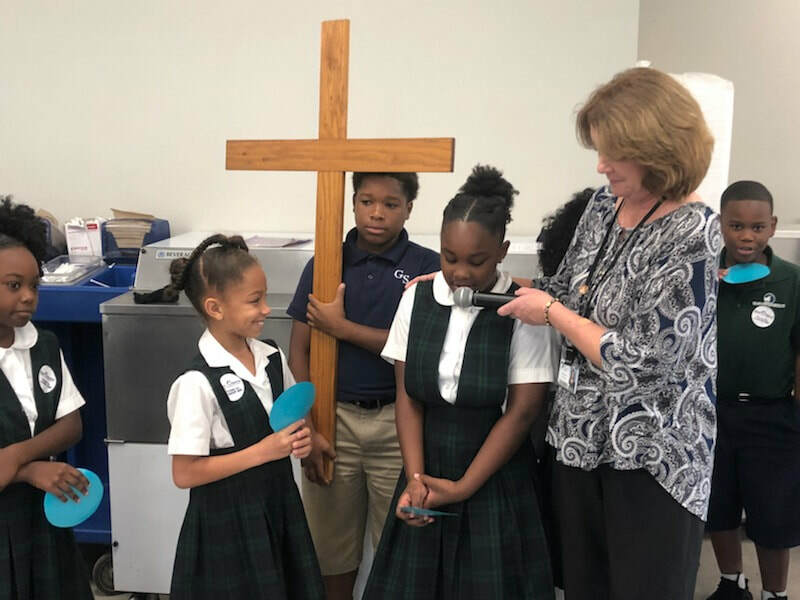 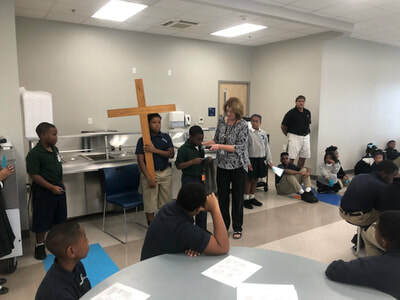 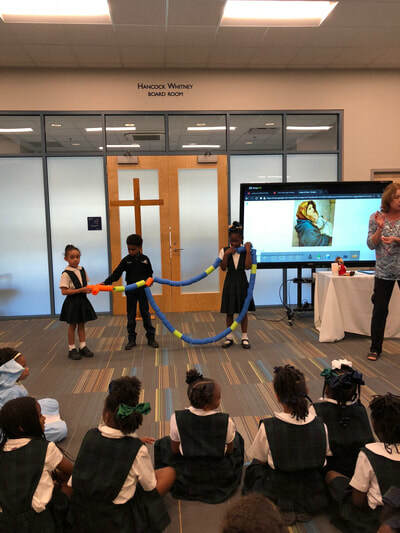 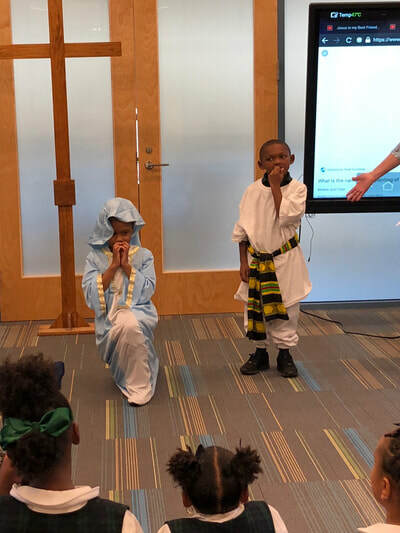 Campus Minister, Ms. Lucio, and religion teacher, Ms. Heap, used October to discuss the rosary, Mary, and the mysteries that go along with praying to rosary.